Pioneers in the industry, we offer kneading machine, namkeen masala mixing tiltting type machine, chilly boiling machines, vegetable boiling cookers and basundi making machine from India. We offer our clients with a qualitative range of machine. These are manufactured using quality raw materials and in compliance with the international quality standards. We also offer these trays in customized specifications as per the requirements of our esteemed clients. Moreover, we offer these namkeen trays at competitive market prices to our clients. 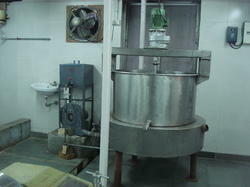 We are a most trusted name among the topmost companies in this business, involved in offering Besan Kneading Machine. Capacity - 10 Kg, 15 Kg, 20 Kg, 50 kg. Approximate Order Value 1 NO. We manufacture and export a qualitative range of namkeen masala mixing tilting type. our personnel make use of premium grade raw materials and advanced techniques of production to fabricate these machines. These machines also stringently checked and are in compliance with international quality standards. Moreover, we also customize these machines as per the specifications of our clients and offer them at competitive prices. 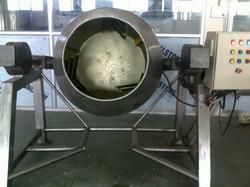 Production Capacity: 100 to 200 kg. We have in our repertoire a qualitative range of Chilly Boiling Machines. These machines offer excellent performance to our clients and are manufactured in compliance with the prevailing quality standards of the industry. 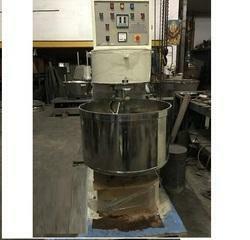 Our personnel also have the expertise to offer these Chilly Boiling Machines in customized specifications as per the requirements of our esteemed clients. Production Capacity: per year 14 nos. Our clients can also avail from our range qualitative Vegetable Boiling Cookers. Used in different industries that offer different types of food products, these cookers are acclaimed for optimum performance and longer service life features. We also offer these vegetable cookers in varied specifications and dimensions as per the requirements of our esteemed clients. 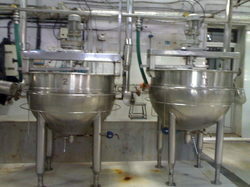 We are engaged in manufacturing Basundi Making Machine. these basundi machines and diesel bhattis are manufactured using quality raw materials and as per the latest industry standards. We also make sure that these basundi machines and diesel bhattis offer excellent performance and longer service life to our clients. Our personnel also offer these in customized specifications as per the requirements of our esteemed clients.